Are you a Bitcoin HODLer? If you are, LedgerX is launching a Bitcoin savings account that might be right up your alley. The cryptocurrency asset management platform, LedgerX, is launching the first Bitcoin (BTC) savings account that will be regulated by the Commodities Future Trading Commission (CFTC), reports Forbes. The goal of the Bitcoin savings account is to provide investors with a fiat-based yield on their Bitcoin holdings. This is done through a simplified version of a call overwrite. All an investor needs to do is choose the implied rate they want to earn and the number of Bitcoins the yield will be applied to. Then, they just need to submit these choices to the LedgerX engine that is already powering their Bitcoin options product. The LedgerX Bitcoin savings account has two CFTC licenses. One is the derivatives clearing organization (DCO) license, and the other is a swap execution facility (SEF) license. The Bitcoin savings account was designed based on LedgerX’s customer use patterns – but it isn’t for everyone. The product was designed to appeal to long-term Bitcoin investors, those who prefer to HODL than to sell. The point of the accounts is to earn interest off of the Bitcoin that is deposited into them – much in the way a regular savings account works. Bitcoin (BTC) is currently selling for $8,534.98, which puts the coin down 2.90% in the past 24 hours. To put that a little more into perspective, this time last year, Bitcoin was selling for $1,728.04, according to data from CoinMarketCap. Those are the kinds of gains that HODLers HODL for. The Bitcoin savings account offered by LedgerX won’t be for everyone. Bitcoin’s volatility is what makes the product work, but the coin’s unpredictability is also what makes it a risky move. 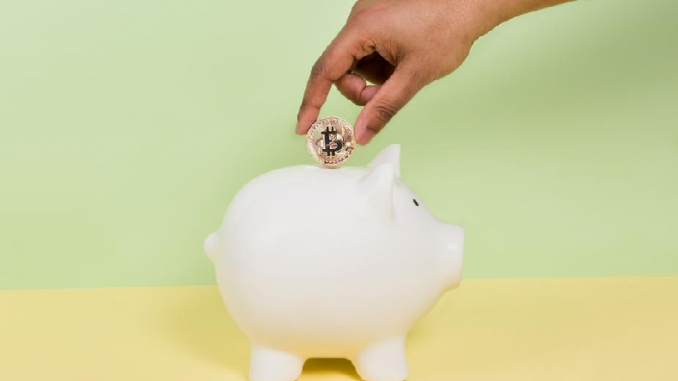 Would you be willing to try a Bitcoin savings account? Previous articleConsensus Summit NYC | Will It Create a Bull Run For Bitcoin Price?